The PSC QS3000 Cobra has reached end of life. The QuickScan QS3500 and QS3000 Handheld Laser Scanners offer powerful scanning in an ergonomic and innovative design. With a large, bright LED window and adjustable beeper, the QS3500 and QS3000 ensure fast user feedback. Both models read RSS bar codes and are GTIN ready. The QS3500 and QS3000 will meet the needs of users requiring affordable performance and value in point-of-sale, medical, and light industrial applications. Backed by a five-year warranty, the QS3500 and QS3000 provide excellent durability and reliability. With a five-foot drop specification and wide operating temperature range, the QS3500 and QS3000 will perform well in a variety of applications. 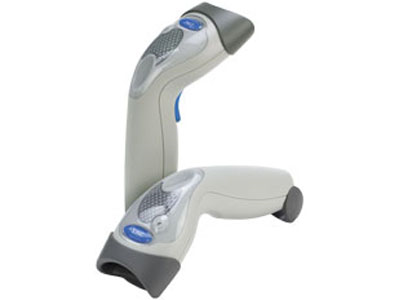 This is the same barcode scanner as the Symbol Cobra, except it has a PSC logo and a lower price. Find it faster! Click here to compare QS3000 Cobra models by feature.